Click Here for the "NEBRASKA DUI PENALTY CHART"
Click Here for the "SUMMARY OF THE NEBRASKA DRIVING WHILE INTOXICATED STATUES"
A DUI arrest results in two parallel actions, one by the courts, and one by the Department of Motor Vehicles. The Department of Motor Vehicles will seek to suspend or revoke your driver’s license. You have a right to a hearing to appeal this action, but you must request such a hearing within 10 days. If you fail to request the hearing, your right to challenge the revocation will be waived. If no hearing is held, the driver can expect to be without his license for a period of 90 days to one year. It is imperative that a driver looking to protect his driving privileges contact an attorney familiar with the process. Commercial Driver’s License holders will also be impacted even when driving their personal vehicle. A CDL holder will be subject to a one year revocation for the first administrative revocation and a lifetime revocation for a second offense. If you’re facing a DUI charge, you need someone with experience to help you. At Island Law Office, PC, LLO, we have the only attorney in Western Nebraska who is a Member of the National College for DUI Defense. At Island Law Office, PC, LLO, we understand the science and common mistakes made in a DUI investigation. When you’re faced with a DUI and the loss of your license, you need someone who understands the charge. You need Island Law Office, PC, LLO. 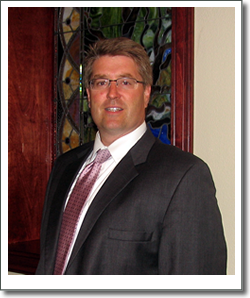 For even the most seasoned attorney admitted to practice in the State of Nebraska, defending DUI cases has always presented special challenges. Today mounting a successful defense is more difficult than ever. 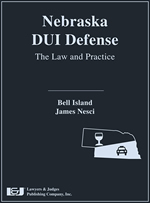 Now you have the advantage with Nebraska DUI Defense: The Law and Practice. This text and supplementary DVD contains the most important information to help you attain a successful verdict. If you would like to schedule a initial consultation contact a Nebraska drunk driving / DUI / DWI attorney, representing clients in Sidney, Nebraska at the Island Law Office, PC, LLO. Give us a call at (308) 633-4040 or complete our inquiry form. © 2019 Island Law Office, PC, LLO All Rights Reserved, The information you obtain at this site is not, nor is it intended to be, legal advice. You should consult an attorney for individual advice regarding your own situation. Address: 1428 10th Street, Gering, Nebraska 69341 Toll Free (844) 236-3440 Tel: (308) 633-4040 Fax: (308) 633-4044 | Gering, Nebraska based attorney practicing in Nebraska and surrounding areas which include the cities of Alliance, Bridgeport, Chappell, Chardon, Gering, Gordon, Harrisburg, Harrison, Hyannis, Kimball, Rushville, Scottsbluff, Sidney, Oshkosh and the communities that make up Banner, Box Butte, Cheyenne, Dawes, Deuel, Garden, Grant, Kimball, Morrill, Scotts Bluff, Sheridan, Sioux counties in Nebraska.